Some people look at rice and think that rice is rice. What is the difference? However, there are nutritional distinctions to be made, especially if you eat Gaba rice. 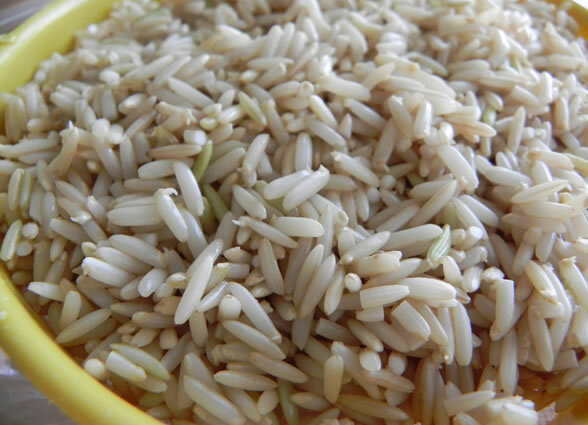 Gaba rice is a germinated brown rice that many Asians are choosing for both nutrition and taste. To learn more about the benefits of eating Gaba rice, you need to compare it to white rice and brown rice nutritionally. Whilst white rice is considered “dead” nutritionally, brown rice is considered “asleep”. Only Gaba rice is noted as being “alive” in this respect. That is because Gaba rice is rich in gamma-aminobutyric acid (thus the name Gaba). It also contains B and E vitamins, calcium, magnesium, and potassium. On the other hand, brown rice contains dietary fibre and some vitamins and minerals. If you eat white rice, most of the nutritional value comes from the carbohydrates. When a rice is “alive”, such as Gaba rice, its nutrition has been totally activated. Not only does Gaba rice offer more nutrition than brown rice but it cooks up fluffier and tastes better too. That makes it easier to digest. If you want to maintain your weight or stay slim, you will find that the low glycaemic index of Gaba rice will help you to do so. That is why this rice is considered a top choice when it comes to weight management. Do you want a heart-healthy food to eat that soothes constipation and supports brain health? If so, you will be pleased that Gaba rice offers these advantages. This is also a food that is recommended for anyone suffering from hyperglycaemia, hyperlipidaemia, high blood pressure, digestive problems, or obesity. Whilst consuming brown rice is beneficial, it can become a hassle to sprout it. You need to soak the rice for a long time and rinse the rice several times a day as well. If you don’t want to spend most of your time on this task, it is better to choose Gaba rice and use a cooker that avoids this task. What is nice about rice cookers today is that they feature a function for the cooking of Gaba rice, which makes cooking this healthy food fairly simple. All you need to do is choose the preferred cooking time. You don’t have to expend any efforts soaking or rinsing the grain. Besides cooking Gaba rice, cookers feature displays that allow you to fry, stew, braise, bake, or steam rice or other foods. An auto-clean feature and pre-set options are added for increased convenience. When you use an innovative multi-cooker, all you need to do is wash and pour the brown rice into the appliance and shut the lid. Choose the Gaba rice function and set the cooking time. The next part of the process is super easy -- serve the rice and enjoy its delicious taste. The traditional germination process used to entail washing and soaking the rice for up to 20 hours. Not only do you have to deal with a pungent odour but you have to spend a good time on the activity. That is why eating Gaba rice and using a multi-cooker makes this choice of a rice so much more enticing.